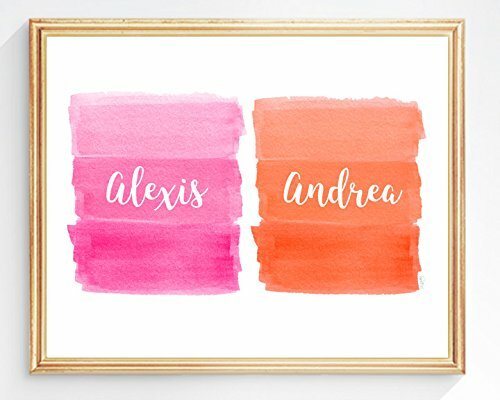 Personalize this duo of artistic brushstrokes with your special names. Adorable as a gift for two sisters. An 8" x 10" art print available in a vertical or horizontal layout. Print is UNFRAMED. To see more siblings prints in my shop just click on the live link that says "Outside In Art Studio" in the top left above the item title. This will bring you to my storefront and in the search box at top type in "siblings". This is will show you lots of additional fun color combo's. If you have any questions about this product by Outside In Art Studio, contact us by completing and submitting the form below. If you are looking for a specif part number, please include it with your message.